Biodentistry emphasizes the importance of the cause-and-effect relationship between a patient’s oral health and their overall physical health. A biodentist examines the mouth in order to determine the effects it’s causing to the health of the whole body, especially our immune system. The immune system is particularly vulnerable to becoming weakened by the effect of toxins delivered into the body through the mouth. Diseases become exposed when the effects of all those toxins become too great for the body to fight any longer. Determining the effects created when different metals in the mouth cause excessive disturbances leading to “the battery effect”. The traditional “silver” filling is a toxic time bomb. 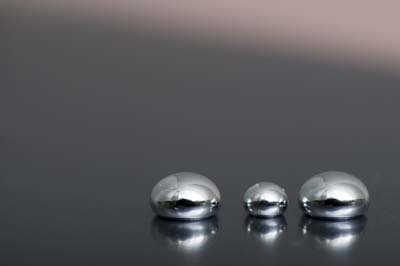 It is made with mercury, which is one of the most neurotoxic elements on the planet, also it has devastating effect on the immune system .There is no “safe” level for mercury in the body which means that its harmful at all levels, even in small doses. For years the traditional dental profession told us that mercury in teeth fillings is bound up tight and wouldn’t leak out. When mercury first started being used that statement was accepted because there was no way to disprove it. Today, however, it has been conclusively shown that mercury leaks out of the filling over time from the moment it is inserted in the mouth. Fillings leak toxins into the whole body every time you swallow food and water. They become especially dangerous when they’re loosened or broken. Dr.H.Pentsak and her staff always follow the protocol of the removal process of mercury fillings that is provided by the IAOMT.